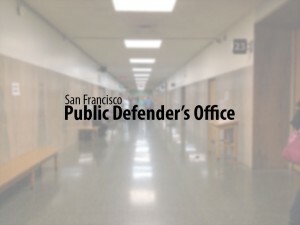 San Francisco, CA — San Francisco Deputy Public Defender Jennifer Johnson has been honored by state officials and mental health leaders for her championing efforts to end criminalization of individuals with mental illness. Johnson, who helped develop San Francisco’s Behavioral Health Court, was named County Champion Thursday evening at the Words to Deeds Paradigm Awards in Sacramento. The event is produced by the Forensic Mental Health Association of California and hosted by the California State Association of Counties. The awards recognize leaders who champion progress and positive change in the forensic mental health system, whether it is through innovative new local programs, statewide legislation or bringing national attention to the problem of incarcerating the mentally ill, said Executive Director Molly Willenbring of the Forensic Mental Health Association of California. “Jennifer Johnson has not only co-founded the successful and progressive San Francisco Behavioral Health Court as its resident public defender, she has also become a national champion of mental health courts and services for mentally ill individuals in the criminal justice system. We, at the Forensic Mental Health Association of California, applaud Jennifer’s work and congratulate her on winning the Words to Deeds Paradigm Award as a County Champion,” Willenbring said. Johnson’s award is well deserved recognition, San Francisco Public Defender Jeff Adachi said. Since 2003, Words to Deeds has provided a unique forum for agency and organizational chiefs, elected officials, and officers of the court to convene and develop strategies and collaborations for decriminalizing mental illness.